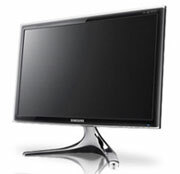 Bigger displays let users view information as they do in the real world and ease strain on eyes, shoulders and backs. Here are our picks for the best of the big screens. Korean tech behemoth Samsung shows off its heft with the BX2450. 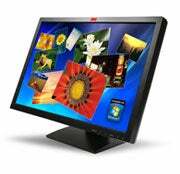 At a scant 19mm thick (think iPhone), the display sports full HD, 1080 vertical scan lines, an LED backlit monitor and a 170-degree horizontal viewing angle--all of which means your work looks great, at a great price. Don't expect the unit to stand up to full-motion video and high-resolution graphics, but if you're looking to upgrade your geezer of a monitor, start here. 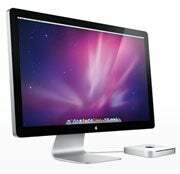 The 24-inch Cinema Display may be getting long in the tooth (it's been around since 2008), but it's still the pick of the Apple litter. For $800, you get a lovely-to-look-at 1920 x 1200 pixels of resolution, USB connectivity and nice add-ons like a digital camera. Expect this monitor to handle anything from rote work to visual design chores. For Mac users, this is still the display of the minute. If you want to break down the barrier between you and your PC, get in touch with this 3M unit. It supports 20 simultaneous touch interfaces, so it's like a smartphone your entire staff can get its hands on at once. The price is over the top, but if you're looking for a display to function as a kiosk or collaborative tool, 3M has it. There is no cooler display on the market. --J.B.
MojoPac. This free software-based solution lets you clone your desktop applications and files onto a virtualized machine that'll work with any USB device--pen drive, external hard drive or iPod. Drawbacks are that MojoPac only works with Windows XP computers and lacks encryption capabilities. Ceedo Personal. This affordable software product creates a reasonable facsimile of a user's desktop on any USB drive. The money you'll pay ($39) vs. the free MojoPac solution gives you Windows 7 functionality, support for 64-bit computing and seamless integration with secure TrueCrypt devices. CheckPoint Abra. This securely encrypted device ($140 for 4GB; $210 for 8GB) gives users access to their cloned desktops and lets IT administrators enforce application and file transfer controls and centrally manage the devices. It's one of the most secure and fully featured options out there. --E.C.